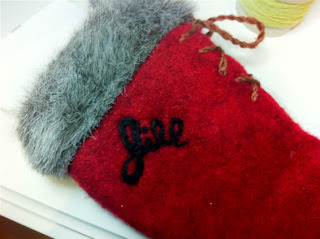 I had a request today for a quick personalizing of a Christmas stocking, and was very happy with the result! It is a quick little way to personlize a gift. That is really neat - and so very personal.